Half of charity leaders expect the economic outlook for the voluntary sector to worsen in the next 12 months, with 13 per cent expecting an improvement and the remainder expecting no change, according to a new survey of members carried out by the National Council for Voluntary Organisations. The April figure of 50 per cent outlined in the quarterly NCVO Charity Forecast, which attracted 565 responses, indicated slightly more optimism than in the previous survey in February, which found that 56 per cent of charity leaders were anticipating negative economic conditions over the next 12 months. The latest survey found that 63 per cent of medium-sized charities, defined as those with incomes between £100,000 and £1m, said they expected the economic outlook to be negative. And only 7 per cent of these charities anticipated that conditions would be positive over the next year, the lowest of all income bands. The proportion of charities of all sizes that said they planned to increase their spending over the next 12 months was up from 42 per cent in the previous survey to 51 per cent this time around. Twenty-two per cent of respondents said they expected to reduce their expenditure. The proportion was higher among medium-sized charities, at 34 per cent. Fifteen per cent of small organisations – with incomes between £30,000 and £100,000 – also expected to cut their expenditure, event though none of them anticipated a decrease in service provision. 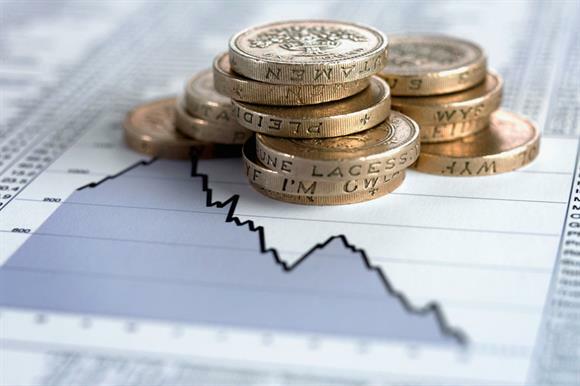 Feelings about charities’ own financial prospects remained stable, with 44 per cent saying the overall situation of their organisations would improve over the next year, compared with 42 per cent in the last quarter. There was also no significant change in the proportion of charity leaders who expected to reduce the services their organisations provided over the next three months – 9 per cent expected a reduction, compared with 10 per cent in the last quarter. Forty-seven per cent said they expected to increase the services they provided, a fall of one percentage point on the previous quarter. Michael Birtwistle, senior policy officer at NCVO, said: "These figures suggest that many smaller organisations are facing the prospect of providing the same or higher levels of service despite having fewer resources. "It's no secret that government funding for charities has fallen significantly, yet demand for services remains at a high level. It isn't surprising that many charities feel pessimistic about the future." Birtwistle added that the slight increase in optimism about the economic conditions in the sector was largely driven by micro-sized and large charities.